Not enough pocket change to buy that box of Little Debbie NUTTY Bars? No sweat! 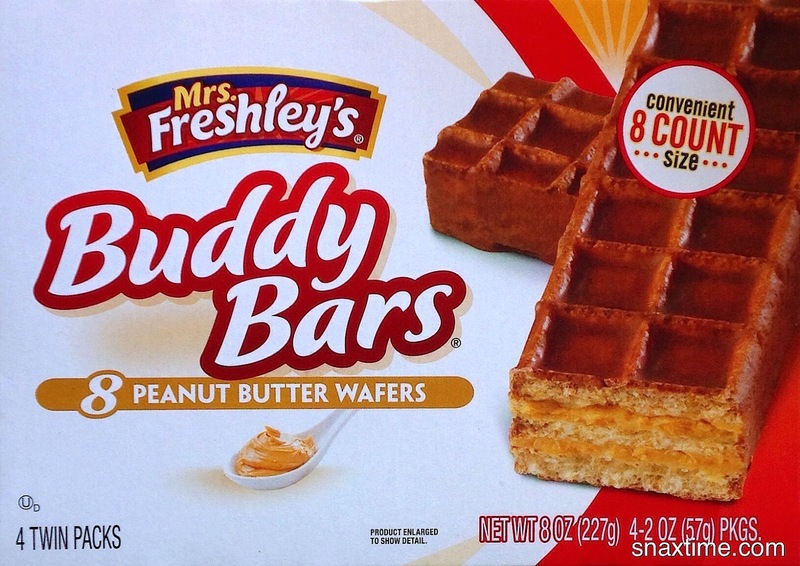 A box of Mrs. Freshley's BUDDY Bars is only $1! Thats 12.5¢ a bar! And not to worry, Mrs. Freshley makes a mean peanut butter wafer. The wafer layers are super airy, light and crisp and have a strong wheat taste that's almost watery in flavor. The peanut butter filling is a bit salty and candy sweet, like when you mix peanut butter and powdered sugar together. 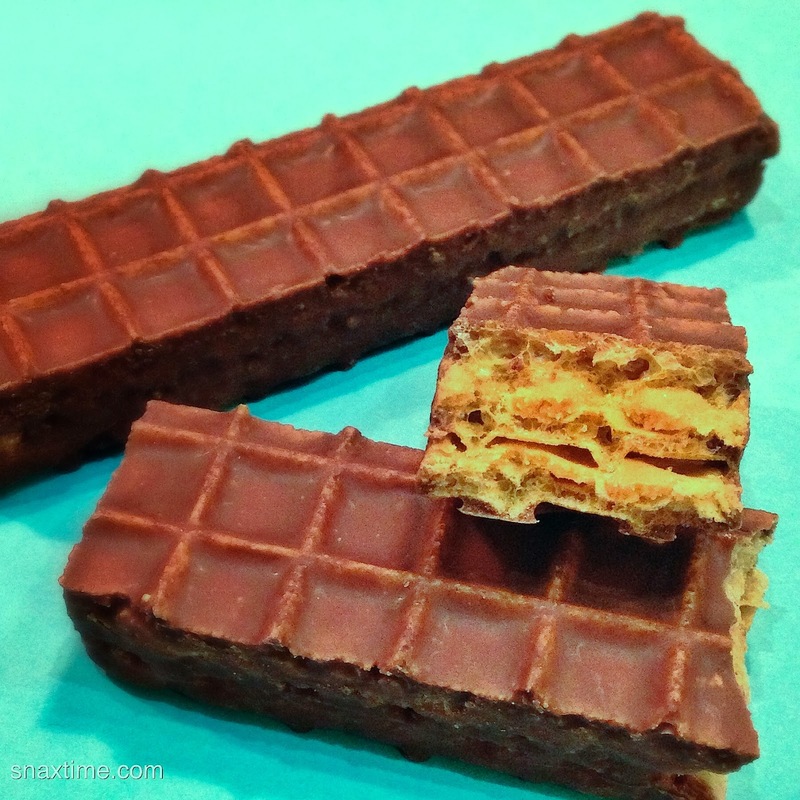 And the chocolate coating has that wonderfully slight waxy texture that is distinctly American. If you've ever eaten an American snack cake or cookie product that's dipped in a chocolate flavored coating, you'll know what we mean!